Speaking of the importance of mobile, it is becoming more and more important as smartphone sales have surpassed desktop. One-in-two travelers who own a smartphone believe that mobile phone led them to make more spontaneous decisions when they are doing their travel searches. Hence, no matter what is your stance on mobile, understand that mobile bookings have become a must-have to attract every type of traveler. In this article, we are going to discuss why having a mobile-friendly site is so important to your hotel business. But First, What Makes A Website Mobile-Friendly And Responsive? Generally, a mobile-friendly website allows guests using any type of device to easily search the information they need either in portrait or landscape view. Why Mobile-Optimized, Responsive Design Website? A research by Aberdeen Marketing has proven that websites can be reached 10.9% more visitors if the site is designed with a responsive website, while non-responsive website achieves only 2.7% increase in their business. This data is highly important as more and more hotels are trying to encourage their guests to book directly from hotel official website. If the website is hard to navigate, they will just close the webpage and search for other hotels as there are only a few clicks away and user experience will indirectly affect the sales performance of a website. Back in 2015, Google released a significant new mobile-friendly ranking algorithm that was designed to strongly boost to mobile-friendly sites in Google’s mobile search results. With this update, hotels websites that work seamlessly across all devices will be ranked higher in the Google search engine. Hence, early adopters get their rewards by receiving a much larger portion of organic search traffic for users on mobile devices. Based on the study, over half of the online travel bookings were made on mobile devices in 2016, and this is expected to grow to 70% by 2019. No surprise, travelers now are relying more and more on the mobile device for all of their travel needs, from researching to booking. 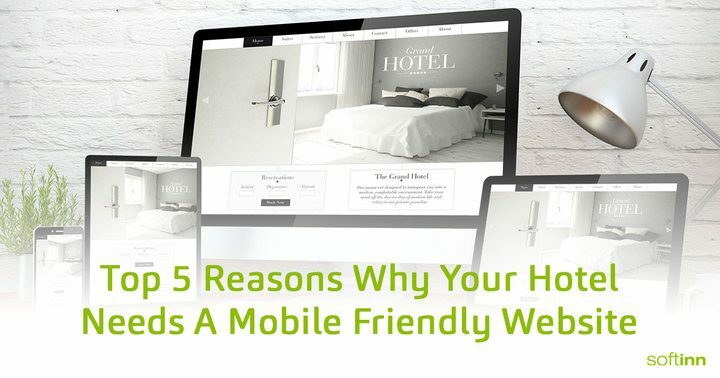 Without a mobile-friendly, responsive hotel web, you may be missing the chance to provide your service to a world of prospects, where unknowingly pushing them away, literally leaving money on the table. By making your hotel website optimized, you can delight your visitors by enabling them to enjoy the fast and fluid load times. Also, the booking path right up to purchase can be seamless to your guests as the booking experience can be quick and simple with a mobile-friendly website, thus, providing your guests with a memorable experience. By delighting your guests, you may naturally turn them into advocator, helping your hotels acquire new customers with the effect of word-of-mouth. According to a survey conducted by Google, 48% of users said that if a site didn’t work well on their smartphone, it made them feel like the company didn’t care about their business. In this sense, having a responsive website for your hotel not only greatly determine if a prospect can be converted into a customer, but also creating a good image to impress your guests, building up brand awareness with little effort at the beginning before it is begun. Are you deciding to implement your own mobile-friendly website for your brand? Head over to Softinn Solution homepage to understand how Softinn helps hotels or homestays to optimize your site and get responsive by providing all the essential functions in the Softinn Extranet. The best part is there is no upfront payment needed.